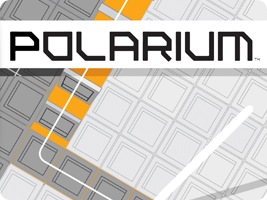 A launch title for the Nintendo DS, Polarium is a puzzle game co-developed by Nintendo and Mitchell. You have a grid of black and white squares, and you can flip them to the opposite color by drawing a line across them. The aim is to match and clear all of the rows by drawing a single line from beginning to end without lifting the pen.